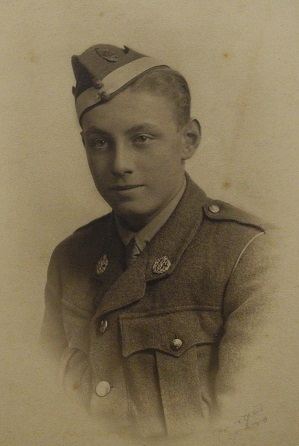 Robert Ian Alexander Hickes, of Market Weighton, was killed in action in France on 30th August, 1918, aged 19 years. He was born on 12th January 1899 and attended Bootham School from 1914 to 1917. Ian joined Lower Senior class in the Spring of 1914. He joined the Microscopy section of the school Natural History, Literary & Polytechnic Society. The school magazine, “Bootham”, of March 1915 reports that he won a prize for microscopy. He had prepared a set of micro-preparations of crystals. He also won a prize for his Natural History diary. SENIOR SCHOOL : MATRICULATION STANDARD. R. B. Braithwaite, e, em, c, I, f.
R. I. A. Hickes, em, me, c.
“Bootham” of March 1916, in the report of School Term Autumn 1915, gives an account of the Charades. In 1916, Ian Hickes was curator of Microscopy at the school, and later a curator of Meteorology. “University of London, First Examination for Medical Degrees. “Football Notes, by the Captain. In “Bootham” of December 1917 we have the Report of Summer Term 1917. “Bootham” of July 1918 has the Report of Old York Scholars’ Association. Whitsuntide meeting of 1918 at Jordans. On 30th August 1918 Ian was the pilot of a bomber plane shot down over occupied France. He and his navigator both died and were buried in a small village cemetery there. “ROBERT IAN ALEXANDER HICKES (1914-17). Hickes will always be associated in my mind with his two predominant qualities—an infinite capacity for hard work, and a strongly developed sense of duty. Unlike us weaker mortals, he would never leave a chemical analysis unfinished nor a mathematical problem unsolved, and when at some hard piece of work he was quite unapproachable in every sense of the word; I have never seen anyone else so barricaded in by note- and text-books. His conscientiousness gave him an almost oppressive sense of responsibility and dignity during his year as a Reeve. It was largely his sense of duty that made him during this period throw himself so wholeheartedly into the Lads’ Club, and into encouraging younger members of the N.H. Club in botany and microscopy. No mention of Hickes would be complete without reference to his histrionic talent. For two years the “charades” might be truthfully said to be Hickes. In 1915 his rendering of the speechless rustic a-courting in Our Mutual Friend was more widely imitated among the lesser fry than anything else in my experience; whilst his Sir Anthony Absolute of the following year, although a little heavy, was easily the chef d’oeuvre of the evening. Second Lieutenant Robert Ian Alexander Hickes is buried at Latour-en-Woevre Communal Cemetery, France. Oliver Bell, of Cheshire, was killed in action on 24th August, 1918, aged 20 years. 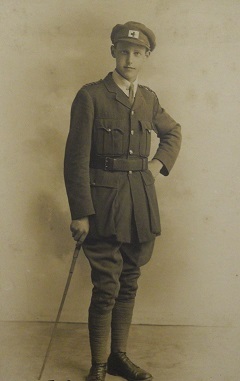 He attended Bootham School from 1913 to 1916. He was a cricketer and a member of the school Natural History Society. The school magazine, “Bootham”, of March 1914 contains The Eightieth Annual Report of Bootham School Natural History, Literary & Polytechnic Society January, 1914.
and in the same issue, “Prizes”, Oliver got a prize for Presses in the Workshop section. In the following year, Oliver won prize for “Bedtable,Tray” in the Workshop section. June 9, v. ARCHBISHOP HOLGATE’S, Home. Lost, 60 and 54—54 and 66. Although we won on the first innings, our opponents just pulled off the game in the second innings. Bell took seven wickets for 21 runs. In 1916, Oliver became a Librarian of the school Natural History Society. In the Royal Life Saving Society Awards: July, 1916, Oliver achieved a Bronze Medallion. “Old York Scholars serving in the Navy and Army. “OLIVER BELL (1913-16). It was with very deep regret that we heard of the death of Oliver Bell, killed whilst flying in France. He will be remembered by his contemporaries as popular and easy-going, as a keen reader, and player of games. On leaving Bootham he joined the Artists’ Rifles, but wishing to take a commission in the Air Force, he was transferred, in June, 1917, to the Flying School at Reading, and did his first flying at Bramham Moor. He went into an advanced training squadron at South Carlton, near Lincoln, where he had a small crash, through his engine failing when taking off. He then went to the School of Aerial Gunnery at Hythe, and on to the School of Aerial Navigation at Stonehenge. After a flight from there to Bristol, he and his pilot crashed from 200 feet, owing to engine trouble, the pilot being killed, but Bell escaping unhurt. He joined the 99th Squadron (long distance bombing), and went to France at the end of April, 1918. The Independent Force was then being built up, and the work was arduous. On all their raids they were under fire from the “Archies” nearly all the way, and were constantly attacked by superior numbers of enemy scouts. Bell was a very good aerial shot, and he and his pilot more than held their own. Bell came home for 14 days’ leave in July, and on his return to his squadron found his usual pilot (who had never been over the line without him) in hospital. He then flew with his Flight Commander, and they were killed together on August 24th, 1918. He is buried at Charmes, on the Moselle. Another wrote who had only known him for a short period, thus showing the sort of impression he made on those who met him. He had just received a photograph of Bell. Second Lieutenant Oliver Bell is buried at Charmes Military Cemetery in France. Harwood Woodwark Barton, of Whitby was killed in a flying accident on 2nd July, 1918, aged 17 years. He received a school prize for microscopy. Harwood won the 880 Yards, and Hurdles, was second in High Jump and Gymnastics and third in 220 Yards. The same issue of “Bootham” report the results of the Aquatics tournament. Harwood did well in this, coming second in many of the events (Open: 220 Yards, Plunge; Senior: 100 Yards, 25 Yards, and 25 Yards on Back). Overall he took second place in the Championship, as was awarded the Clayton Bronze Medal. 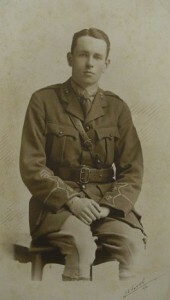 Harwood left Bootham School in 1916. He played cricket for the Old Scholars in the match against the school in May 1917. “HARWOOD WOODWARK BARTON (1915-16), Flight Cadet, R.A.F., was killed whilst flying on duty, July 2nd, 1918. He came to Bootham after being five years at Ackworth, and early showed considerable independence of character, which seemed destined to make whatever career he embarked on a successful one ; and above all his personality was marked by a buoyancy of spirits and brightness of demeanour which won him friends on all sides. Fired with ambition to take his part in the war, he entered the Flying Service very young. At school he had entered with zest into everything that took place, especially outdoor life, and when a cadet he was one of the prime movers in a large sports meeting, which, alas was fated to be held on the day when, with full military honours, his body was laid to rest at his home town. It was not only on the playground that his interests were centred, for his keenness in learning every detail of his profession was noted, and at the aerodrome his instructors were agreed that he had in him the making of a first-class pilot. Flight Cadet Harwood Woodwark Barton is buried in his family vault at Whitby Cemetery. Geoffrey Birdsall, of Scarborough, was injured on 16th June 1918 during enemy artillery bombardment and died, in France, on the 17th June, 1918, aged 19 years. In his first term at Bootham, Geoffrey won prizes for his Archaeology Diary and a Workshop prize for Bookshelves. The school magazine, “Bootham”, of December 1915 reports external examination results. Geoffrey achieved passes in Latin and Greek in the University of London, Senior School (Matriculation Standard) examinations. 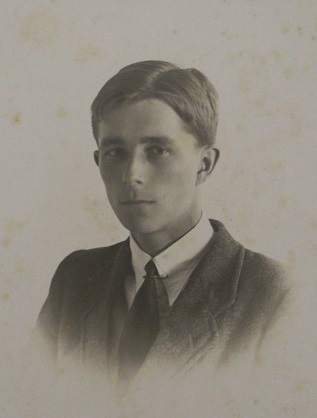 In the Autumn term of 1915, Geoffrey was a member of the school Senior Reading and Discussion Society. The July 1916 issue of “Bootham “ reports on the school’s Bedroom Football Tournament. 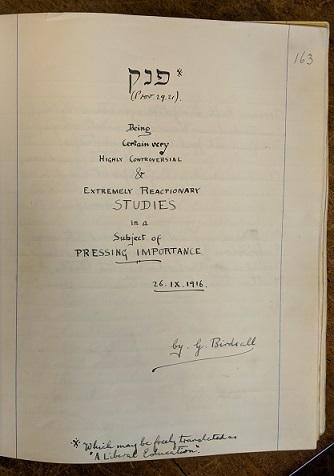 Title page of Geoffrey Birdsall’s essay on modern education in Bootham’s “Observer” volume XXXII. “Bootham” of June 1917 tells us that Geoffrey came third in the 440 Yards race in the school Athletics Tournament. “North Riding County Council Major Scholarship. 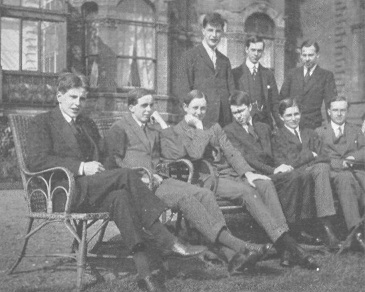 Bootham School Reeves 1917, G. Birdsall seated, second from right. His scholarship was celebrated in school by a half-holiday in the Autumn term. Private Geoffrey Birdsall is buried in Pernois British Cemetery, Somme, France. The inscription reads: “OF SCARBORO’ AGED 19 MEMBRA SUMUS CORPORIS MAGNI”. Norman Edward Gripper, of Blackburn, was killed in France on the 27th May, 1918, aged 21 years. He was born in Plymouth in 1896 and attended Bootham School from 1912 to 1913. He collected butterflies and months at school. After school, Norman became an electrical engineer. “”R. S. CARR (1909-15), with the “Section Sanitaire ” in France, sends names of O.S. on his convoy: ” R. M. BARROW, O.C., H. LIDBETTER, R. L. SPENCE, N. E. GRIPPER, R. W. SCRIMGEOUR, H. G. CLARK, A. S. HAMILTON, E. O. RANSOME, O. B. LEAN. Dear V. W.,—We , the old Bootham boys on S.S.A. 14, felt we would like to write to BOOTHAM to let others know how Norman E. Gripper met his death. BOOTHAM has just reached the convoy, and we all congratulate you on yet another good number. p.p. ROGER S. CARR (in hospital). Norman E. Gripper came out to France with the F.A.U. on January 1st, 1916, and after working- in the Poperinghe district for some months he joined the Ambulance Convoy S.S.A. 14. Before getting his own car in November he was working as mechanic and extra driver. It was while he was in the workshop that many of us realised his great skill and enthusiasm for all things mechanical. When he got his own ‘bus it almost became a part of himself; it was always in the most perfect condition, and, like him, ready at all times for whatever occurred. The convoy had just made a fairly long move to a little village some 20 kilometres behind the lines, and was expecting a few days’ rest, when the German offensive of May 27th took us entirely by surprise. Almost immediately calls for ambulances came pouring in from the neighbouring villages, and N. E. Gripper was the last of a small convoy of six to go through B—• , which was being heavily shelled. The shell which killed him and fatally wounded Hugo H. Jackson (master at Sidcot, 1913-14) must have burst immediately in front of his car, and death was instantaneous. H. H. Jackson lived to reach the CCS. at M.N.D., in the cemetery of which both were buried that afternoon; four hours later the hospital fell into the hands of the enemy. Both have been posthumously awarded the Croix de Guerre. Norman Edward Gripper is buried in Vailly British Cemetery, Aisne, France. 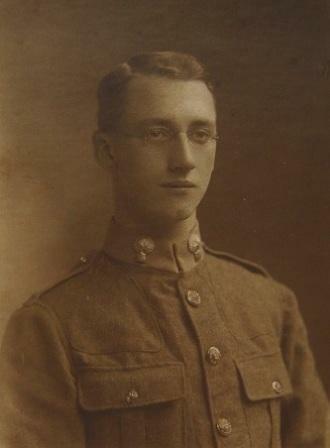 John Lancelot Gibson, of Newcastle-on-Tyne, was killed in action in France on the 27th May, 1918, aged 22 years. 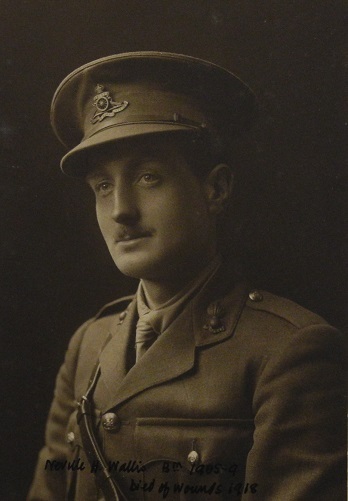 Lance was born in 1896 and attended Bootham School from 1910 to 1913. He was a good cricketer and enjoyed Entomology at school. The school magazine, “Bootham”, contains details of his collecting. “Of the diaries by younger boys that by Fisher is undoubtedly the best. He gives a good account of the type of animal which lives in the shells he collects. Others deserving of encouragement are A. S. Hamilton, Wilson, Lambert, Smithson, Benson, Gibson, Carr and Schad. 100 Yards 2 J L Gibson. At the beginning of the Autumn Term a small exhibition of Holiday Work was held in the Art Room. The Plants of J. M. Goodbody and G. S. Adair, together with the Beetles of J. L. Gibson, deserve special mention,…. Gibson and Benson both made excellent collections of beetles. Gibson, who has only collected a year shows very careful work, but better arrangement of his localities would be desirable. So far as the Show Exhibits are concerned, most of the work sent in was ornithological. Two good diaries on pets were, however, sent in, the one which gained first prize being a record of some mice kept by T. H. O’Brien and V. L. Benson in a cage in one of the arbours, while J. L. Gibson and H. Sampson exhibited some guinea pigs, kept in an ingenious cage in the Boys’ Gardens. J. L. Gibson’s table took third place, it did not show as much work and skill as the others but still did him credit. Gibson managed successfully to evade the ” No’ wet paint or varnish ” law and to bother the judges by oiling his table. “Bootham” of November 1912, lists J L Gibson in 2nd X1 Cricket team. Of the Coleopterists, J. L. Gibson has by far the largest collection, which he has doubled this year. He has succeeded in hatching out several larvae collected at Rannoch. His best specimens are Cetonia floricola, Creophilus masalossus, and Hister cadaverinus. Four collections of beetles are sent up. Of these J. L. Gibson’s takes the first place, followed by C. V. Brown, R. H. Benson and C. Wigham. It may be noted that Cetonia floricola from Rannoch is probably an introduced specimen. Many attempts have been made to introduce this handsome beetle in various stations north of its usual limit, but as a rule without success. OLD SCHOLARS’ NATURAL HISTORY EXHIBITION, CHRISTMAS, 1912. COLEOPTERA.— J. L. Gibson is now the only member left in this branch of the Club. He has a collection numbering about one hundred and eighty specimens, and has added about thirty to his collection this year, among which are Histerida; quadrimaculatus, Carabus violaceus, Silpha atrata and Attelabus curculionoides. It is to be hoped that new members will join this branch of natural history after the show. It is a pity that opportunities should be missed in such a splendid district as York. “THANK you very much for the kindly message you sent me from the Whitsuntide gathering. How I wish I could have been with you all at that time. Looking back on the good old days, I seem to have wandered far from the doctrine which was taught at Bootham, but by joining in this gigantic struggle I believe I am doing something towards bringing about a peace that will be a lasting peace. At the same time I admire those who have held back because it is contrary to what they think is right. 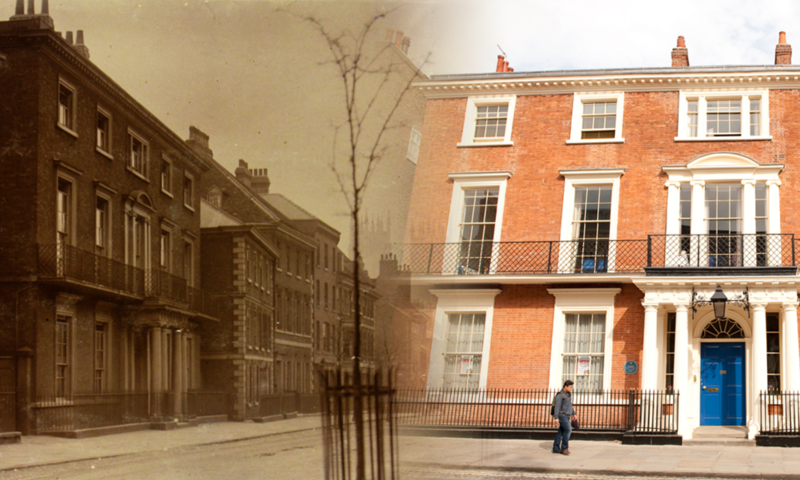 ” ……………………..
JOHN LANCELOT GIBSON (1910-13) came to Bootham in September, 1910. He was always active in more than one branch of out-of-school work, including ornithology and the metal workshop. He played in the 2nd XI. football and 1st XI. cricket during 1912 and 1913. Leaving at the end of the Christmas term, 1913, Gibson went to serve his apprenticeship at a farm in Northumberland. In September, 1915, he and Eric B. Butler obtained their commissions in the same Howitzer Brigade. Gibson went out to Flanders in the following March, and for some time was near Ypres. He was in the Somme offensive, 1916, and the advance to Passchendaele during the late summer and autumn of 1917. It was during this advance that Butler was killed at the end of September. Lieutenant John Lancelot Gibson is commemorated at the Soissons Memorial, France. Nevill Hampton Wallis died of wounds received in action in France on 25th May 1918, aged 26 years. Nevill attended Bootham from 1905 to 1909. His hobbies at school included music and archaeology, and he was a member of the school Natural History Society. The school magazine, “Bootham”, of Febraury 1906 contains a report of the Christmas Exhibition, Natural History of 1905. It shows that Nevill won a prize for Entomology. In early 1907, Nevill became a curator of Entomology in the school Natural History Society. In the Autumn term of 1907, he joined the committee of the school Junior Essay Society. “Bootham” of June 1908 has the report of the Spring Term. “The concerts this Term were of unusual interest, and were especially welcome, as our athletic events had suffered so from rain. In 1909, Nevill became a curator of Drawing at school, and also of Meteorology. He took readings of the Sun Recorder. In the Autumn Term of 1908, Nevill passed the Cambridge Extension Examination. NEVILL HAMPTON WALLIS (1905-09). See last number of BOOTHAM. Second Lieutenant Nevill Hampton Wallis is buried in Boulogne Eastern Cemetery, France. 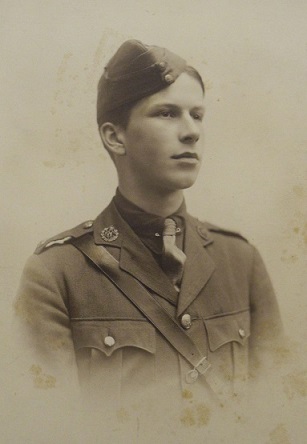 Archibald Carmichael, of Coldstream, died of wounds received in action in France on the 22nd May, 1918, aged 26 years. Archibald was born in 1892 and attended Bootham School from 1906 to 1908. At school he played 2nd XII football and was a member of the Natural History society and Photographic club. In the school Christmas Exhibition of 1906, Archibald won the Workshop Prize for Bookshelves. A. Carmichael has started this term, but as winter is not the time for shell collecting, he has had very little opportunity of doing much. CHRISTMAS EXHIBITION, 1907. NATURAL HISTORY. I I. Conchology.—………….F. A. Brockbank shows 23 species of marine shells, and A. Carmichael a tiny but most promising set of six species. The Ornithological reports of C. N. Levin, A. Carmichael, B. Pickard, R. B. Graham and F. A. Brockbank also deserve mention, for they were all the records of careful observations in various parts of the country. A. Carmichael and B. Pickard’s works both deal with birds and shells, and both have excellent illustrations of the latter. Oology has also prospered, and Marriage, Brockbank and Carmichael have good collections. A. CARMICHAEL (1906-1909) writes from Salonica, where he is as contented as he can be “under war conditions,”though longing” for a sight of the home folk and familiar surroundings.” Of his recent doings he says : “We have just got settled after an eight days’ march from a precautionary front where nothing happened, to one where guns boom and roar without stop, and aircraft are very active. Our camp is in a safe and cosy corner of hills and work is at present light. Our principal duty is to guard a station on the shore of a now famous lake. A few kilometres distant is the town it served in peace time, which is in Bulgar hands. They have a magnificent position, which I should think only a huge artillery preparation and considerable sacrifice of life could reduce.” There was a great air fight yesterday, a dozen or so machines taking part; only at intervals were they overhead, and we could not make much out of the general mess-up. A few bits of shells came whistling down near us.” A few days ago I had a note from A. S. Jennings; he is in General Hospital at Salonika.” It is not long since A. C. was himself in hospital with malaria, and has only just escaped the same fate a short time before writing. Old York Scholars serving in the Navy and Army. It may be remembered that in a previous letter A. S. J. referred affectionately to ” The Hielan’ Laddie” (ARCHIE CARMICHAEL). It was with very real sorrow that we received from Mrs. Carmichael the sad news that her son Archie had died of wounds on May 22nd. Those of us who were privileged to be counted amongst his friends know how true that friendship was. Both as a boy and as a man he was remarkable for his unfailing good temper and for his steadfastness. We shall miss him greatly, but though his physical presence has passed away from us, there is still left to us his example. It is an example of courage and of comradeship, two qualities of inestimable value in the world to-day. B.P. “ARCHIBALD CARMICHAEL (1906-08). Everybody liked Archie. He had a real genius for friendship, and a fund of good humour that made him a friend worth having. At work he combined a true zest for certain subjects with a capacity for not taking life too seriously; at play, whether it was on the field at Bootham, during an N.H. excursion, or beside his beloved Tweed at home, he was keenness itself, taking a live interest in what was going forward, and always ready and anxious to share that interest with others. Sociability was perhaps his chief characteristic. Second Lieutenant Archibald Carmichael of the Royal Field Artillery is buried at Vignacourt British Cemetery, Somme, France. Stephen Walker, of London, was killed in a flying accident near Duxford on 14th May 1918, aged 26 years. Stephen was born in Saffron Walden on 24th January 1893. He spent most of his childhood at the Friends’ School, Saffron Walden, where his father was headmaster, and attended Bootham School from 1908 to 1910. Stephen won the Workshop prize for Cupboards, and Boxes etc. By 1910, Stephen was one of the judges for Workshop prizes. He was keen on sports at Bootham and was in the 1st XI football and cricket teams. By March 1910, Stephen had joined the football committee at school. Nov. 13, v. NORTHERN FOXES. Lost, 1—3. S. Walker, at right back, always a mainstay of the team, played even better than usual. STEPHEN WALKER (1908-10). The news of Stephen Walker’s sudden death came to all the School with a great shock. Perhaps the first thing that those who knew him would say of him is that he was a sportsman. And it is as a true sportsman, a good comrade, and a straight man, that I personally remember him. In his schooldays, at Ackworth and Bootham, he shone as an all-round athlete, and later he was one of the best full-backs who have turned out for the Foxes football team. As a cricketer, both as batsman and left-hand bowler, he was well to the fore, and as one of the “Falcons “he was on tour in the West of England when war was declared in 1914. His own desire was to “join up” in the early months of the war, but it seemed best that he should complete the term of his articles as a Chartered Accountant; but as soon as his examinations were over he entered the R.F.C. as despatch-rider. After some months in France he returned to England and obtained a commission in the Cambridgeshire Regiment. As a cadet he did so well in certain branches that he was offered a post as instructor to the United States troops in America, but his reply was that that was an older, or married man’s job. 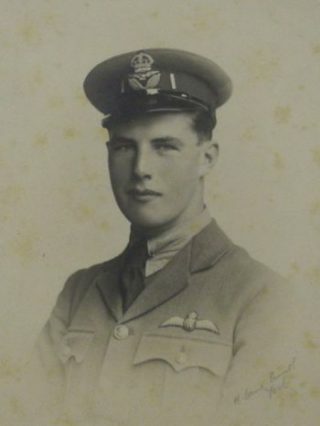 After some time on the East Coast he was passed fit for flying, and went to Reading, and from there was sent to Duxford, only seven miles away from his own home, for flying practice. He was always spoken of as a careful airman, and we had begun to feel quite easy in mind as to his safety. On Tuesday, May 14th, he was seen shortly after six to pass over Saffron Walden, and a few hours later the news came that on trying to land, his plane had got into a flat spin and had crashed down, Stephen being killed instantly. The funeral took place in the Friends’ Burial Ground, Saffron Walden, on the following Friday. His fellow-officers at Duxford sent a most beautiful wreath as a tribute, and flowers from the Saffron Walden School gardens were made into wreaths from Scholars and Staff. 2nd Lieutenant Stephen Walker is buried at the Friends Burial Ground in Saffron Walden. Hubert Pumphrey, of Bradford, was killed in action in Flanders on 26th April, 1918, aged 37 years. Hubert was born in 1881 in Sunderland and attended Bootham School from 1895 to 1898. At school, Hubert was active in various societies. He was a member of the Discussion Society, and was involved in Senior Debate. He was in the Natural History Club, with interests including Archaeology and Drawing. In 1896 at the Annual Exhibition, Hubert won prizes in Stumping (from cast), Pastel work, Illuminations, and Photography. He took part in Athletics (Seniors Vault), and in Aquatics, and was a member of the 1st XI football team. After Bootham, Hubert studied at Durham College of Science. “HUBERT PUMPHREY (1895-98), 2nd Lieut. Cheshire Regt., was killed while leading his men at Kemmel Hill April 26th, 1918. Hubert Pumphrey, son of T. E. Pumphrey, of Mayfield, Sunderland, came of an old Quaker family, one of his soldier ancestors having laid down his sword and embraced the Quaker faith in Cromwell’s time. Like his brothers—the late Capt. 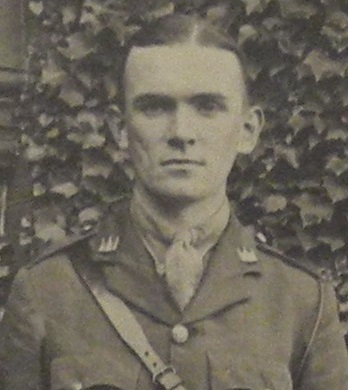 Arnold Pumphrey, D.S.O., Durham Light Infantry, and Lieut. 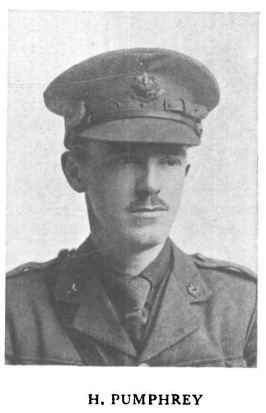 (Acting- Captain) Stanley W. Pumphrey, M.C., R.F.A.—he was educated at Bootham, where he was a reeve and in the football XI. After further study at the Durham College of Science he was articled to W. P. Thompson, patent agent, in Liverpool, and eventually, after becoming a member of the C.P.A., was made a partner in the firm. He represented the firm in Bradford for some years, during which time he took an interest in and worked for the Guild of Help. In the early days of the war he was secretary for the Heaton Hall Home for Belgian Refugees, but he felt this work was not enough, and that he must do what he increasingly felt to be his duty—join the fighting forces. In December, 1915, he joined the Inns of Court O.T.C., obtaining in November, 1916, a commission in the Cheshire Regiment. He went to France early in 1917, and was wounded near Ypres in July of that year, being sent home to hospital. In April, 1918, he rejoined his old battalion in France. Early in the dawn of April 26th (less than a fortnight after leaving England) he led his men in what was described as ” a very gallant counter-attack ” on Kemmel Hill, and while running ahead of them he was caught by machine gun fire and instantly killed. Second Lieutenant Hubert Pumphrey, of the 10th Battalion, Cheshire Regiment, is remembered at the Tyne Cot Memorial near Ypres, Belgium.